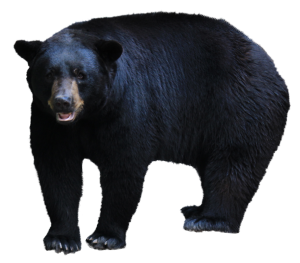 As of 2012, the American Black Bear population living in the Sierra Nevada Mountain Range was estimated at 10,000 bears. Mostly, they live at higher elevation levels, 3,000 feet and above, in areas managed by the U.S. Forest Service or the National Parks. There is about one bear per square mile. A rough estimate of Nevada County’s high elevation habitat puts our bear population count at around 500 bears. Ninety-five percent of a bear’s diet is plant-based. Bears are omnivores. They will eat whatever is available, including human garbage and pet food. Female bear fertility is directly linked to nutrition and food availability. They must have high-quality berries and acorns to successfully reproduce. Bears mate in June & July (females begin to breed at age four-and-a-half). Typically females have litters every other year, producing two to four cubs in early spring while the mother is in the den. Adult females can hold fertilized eggs for months. The zygote doesn’t attach to the uterine wall unless the female has gained adequate fat by hibernation time. If the female is undernourished, the zygotes will not develop. 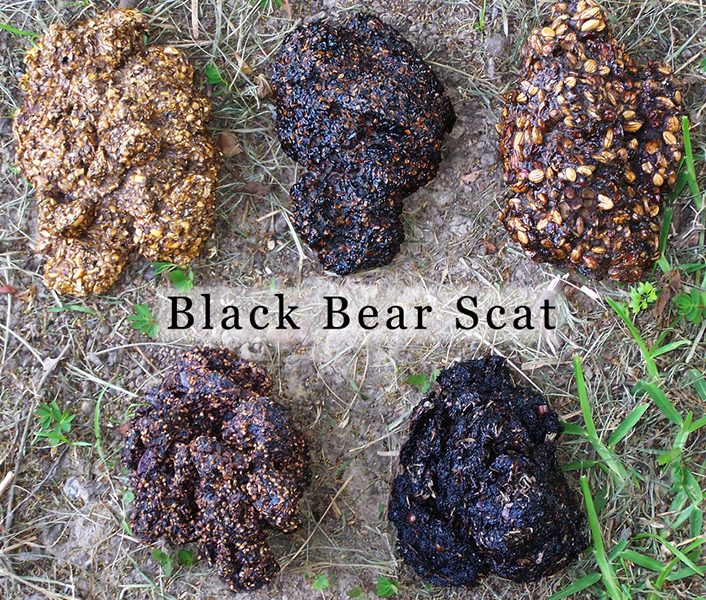 During hibernation, bears don’t defecate. Scientists believe that reabsorbing nitrogen-rich urea, helps them to maintain muscle mass while losing between 15 to 30 percent of their body fat. Studies of this phenomena may one day lead to weight loss aids for humans. Accumulated fat and high cholesterol levels sustain them through the winter. A bile acid that bears generate during hibernations has been found to dissolve gallstones in humans. Another interesting hibernation fact is that, while in that state, bears repair and regenerate bones. Researchers are studying this with the hope of curing human bone diseases and degenerative arthritis. 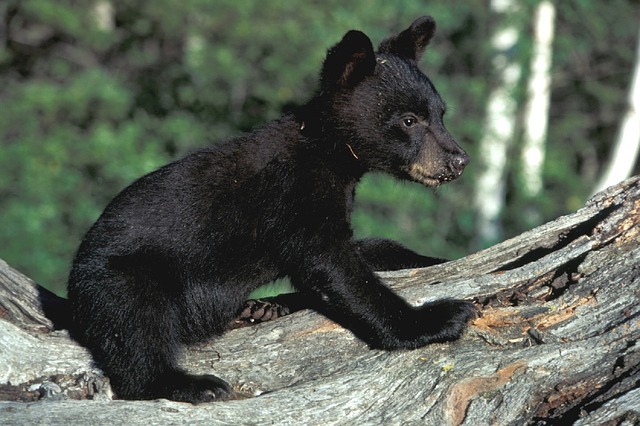 Bear cubs are the most vulnerable to predators such as coyotes, bobcats, and mountain lions. Humans and habitat loss is the biggest threat to bears. 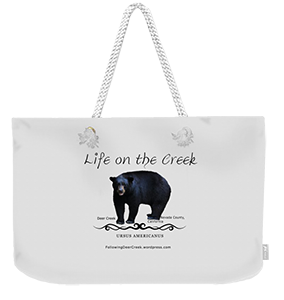 In the wild, American Black Bears can live to 30 years. Unfortunately, when a bear is drawn into human territory, their lifespan shrinks to about ten years. Long range relocation studies have shown that relocation efforts are unsuccessful. or are killed by territorial bears already living in resettlement zones. 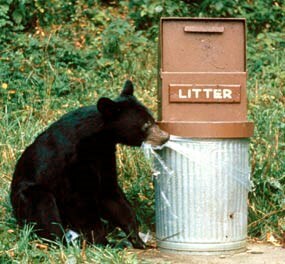 Most interactions between bears and humans occur when bears are hungry in spring and late summer/fall. Once bears become a nuisance to humans, they continue to be a problem. Problem bears are put down. The best way to live successfully in high elevation zones, is to discourage bears from establishing bad habits. *Keep a tidy home and be conscious of items that act as attractant odors. Use ammonia or bleach to deodorize trash cans. Put garbage containers in a shed or garage when not out for pick-up. Freeze smelly food waste and only put it out for collection close to the time it will be picked up. Use a garbage disposal when possible. Keep outdoor grills clean and free of meat drippings. Bring in bird food and pet food at night. Pick up fallen fruit from around trees. Keep food and other fragrant items out of your car. Close and secure ground level doors and windows at night. Survey your property for potential hibernation sites; under decks or buildings. Block those places so animals can not access them.